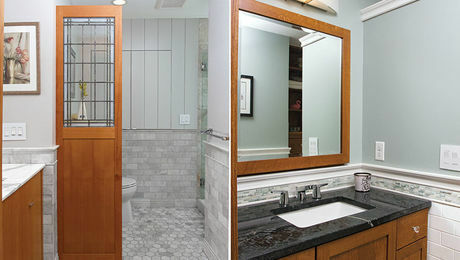 Bathrooms are arguably one of the most important rooms in the house. 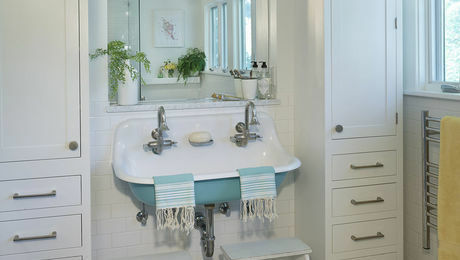 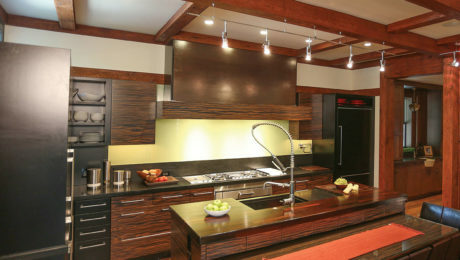 This essential space gets a lot of traffic, and usually showcases the personal style of its owner. 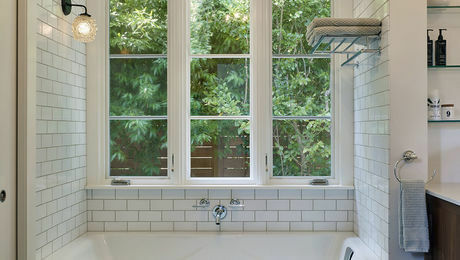 At the same time, bathrooms are inevitably about function, so successful designs are the right blend of what you see and how well it works. 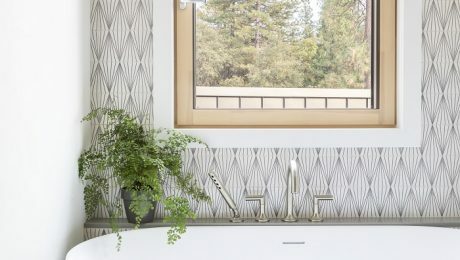 Bathrooms offer designers a rich palette of possibilities — everything from the varied colors and textures of natural wood to sleek sprayed finishes. 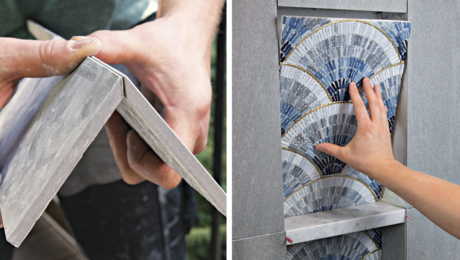 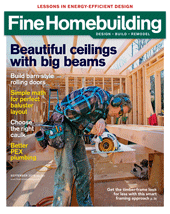 Whether a bathroom is a remodel or new construction, and no matter what the style, Fine Homebuilding’s deep library of articles cover what you need to know. 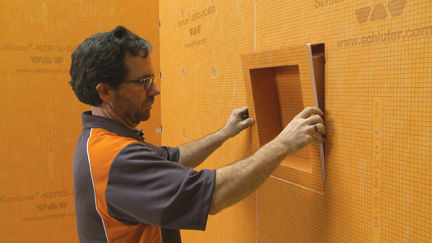 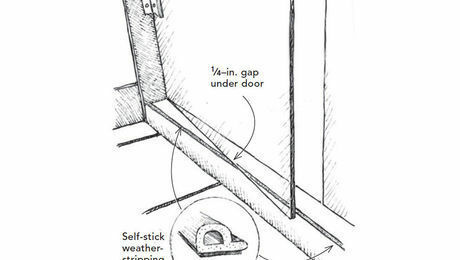 Self-stick weatherstripping stops drips in a frameless-glass enclosure. 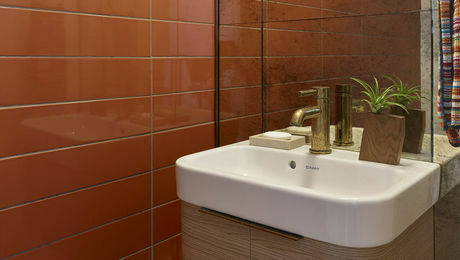 Intelligent products for beautiful, functional, comfortable, and sustainable bathrooms that ensure well-being for years to come.